South Sudan is suffering from a water crisis. Although Sudan has suffered from water scarcity for decades, it’s descent back into war in 2013 after the country split has further exacerbated this. The constant conflict within South Sudan has left the country’s water systems neglected or destroyed. The poor rains combined with the after-effects of the 2011 East African drought, and the decreasing value of South Sudan’s currency contrasted with the rising price of living (an increase of 30%), has depleted the countries’ clean water supply, and made it difficult, and expensive, for the population to access clean and safe water. When clean water sources are scarce, it is left to the women and the girls to make the journey to find clean water – disrupting or halting the girls attendance at school, and preventing the women from working, which in turn places the families under further economic strain. For those in Juba City, who live too far from a clean water supply to walk, they must rely on water deliveries, which continue to increase the price of their water. Sometimes, these water distributors do not reach everywhere they are needed due to the rising cost of fuel. Some families that are struggling financially cannot afford to buy clean water, and so they have to either use dirty water, or go without. 97% of South Sudan’s water is used for agriculture, an industry that employees 80% of the population. Whilst only 2% of South Sudan’s water is for domestic use (in comparison: in the U.S. 13% of it’s water supply is for domestic use). South Sudan’s water source is transboundary waters, meaning it shares it’s water with the surrounding countries. The Nile River Basin, South Sudan’s main body of water, is shared by 10 countries, in fact. This causes extreme water stress, which is when the demand for water exceeds the amount available, and this in turn has intensified the already pre-existing political and economic tensions. Water stress is a problem that roughly a quarter of Africa’s population suffers from. 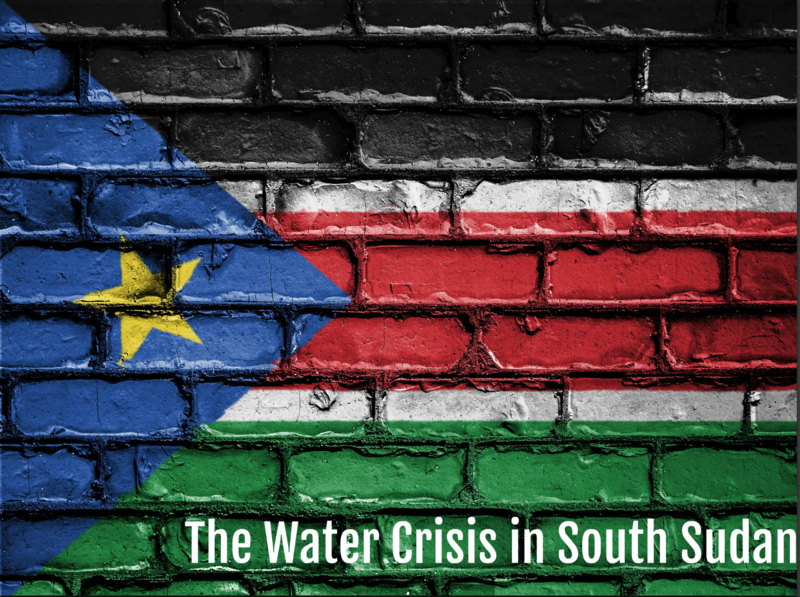 South Sudan has predominantly relied on aid organisations for water help, however, this has not been enough, and only 55% of people in South Sudan have access to clean water, with this figure set to fall as water becomes increasingly expensive and unaffordable. Without available clean water, the population has no choice but to settle for dirty water. which dramatically increases the likelihood of catching disease and infections. Due to this, South Sudan remains host to 98% of the world’s remaining Guinea worm cases, and a third of children under the age of 5 suffer from diarrhoea. Making improvements to water access and sanitation is crucial in South Sudan for the countries future. The issues of conflict, water scarcity and economic hardship are entwined in South Sudan, with progress in any of these areas aiding the others. This is why we at drop4drop have established a role within South Sudan, repairing broken bore wells, and providing wash initiatives and training. Together, we can help everyone in South Sudan have access clean and safe drinking water. Let water be a right and not a privilege. Click here to donate now.